Located at the heart of the Pays Nantais in the village of Le Landreau, La Domaine de La Bretonnière is in the heart of a region where wine production is profoundly influenced by the interplay of soil and climate. This is a maritime region moderated by the Atlantic. The soil where vines grow is predominantly gneiss and igneous rock mixed with clay thanks to volcanic activity that occurred there millions of years ago. Being porous in nature, soil drains well, key in an area that receives significant rainfall and is marked by a network of rivers. Domaine de La Bretonnière is a small family-owned winery that encourages the terroir of the Pays Nantais to shine through in their wines. The star varietal is of course Melon de Bourgogne, grown over 14 hectares of prime vineyard land on the banks of the Maine and Sèvre rivers. Vines range in age from 30 to 70 years old. 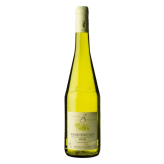 Pierre-Yves and his team make wine and bottle it under the prestigious Muscadet Sèvre et Maine AOC.